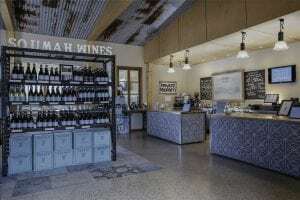 Winery Profile: SOUMAH Wines - Australian Wine Tour Co. The Yarra Valley is famed for its mouth-watering cool-climate wines and fresh produce, but how much do you really know about some of the region’s most esteemed vineyards? We caught up with Dmitri Lazariuc from SOUMAH, to learn more about what the winery offers wine lovers from across Australia and the world! Established by the Butcher family in 2008, SOUMAH has links to the Yarra Valley that go as far back as 30 years. 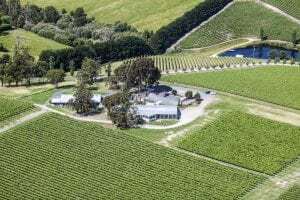 “The name is born from the location of the vineyard – South of Maroondah (SOUMAH) – in the ‘dress circle’ Yarra Valley wine address of Gruyere, near Coldstream. The Butcher family has been represented in Victoria for generations and has a historical association with the land. Frank Wynyard Butcher, the family Patriarch, was a horticultural scientist with the DPI for more than 30 years,” Dmitri says. 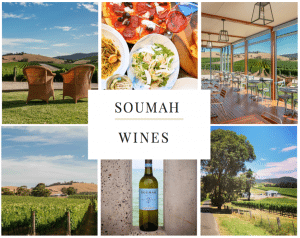 The cool-climate growing conditions that are typical in the Yarra Valley allows SOUMAH to specialise in styles and varieties that are reminiscent of Northern Italy and South-East France. “Our Hexham vineyard on the Warramate Foothills is the mainstay of production, although we do look for small parcels of premium fruit from other vineyards to bring other single-vineyard wines to the market. Our most awarded wines are Chardonnay and Pinot Noir, although we are also gaining good recognition for Viognier and Syrah. Then onto a passion for Northern Italian varieties with our Nebbiolo, Brachetto, Pinot Grigio and Savarro (Savagnin),” Dmitri says. The chief winemaker at SOUMAH is Scott McCarthy. To truly understand his winemaking philosophy and style, you only have to listen to the way he speaks about SOUMAH’s flagship wine, Chardonnay. “Our Chardonnay philosophy is all about getting everything into the wine (packing it with flavour and depth) but with no edges. Great pristine fruit accents, fine acid, oak, and light creaminess. It all has to be in there, but all in moderation and in the lightest way possible. That is the hallmark of a new age, linear fresh, Yarra Valley Chardonnay,” exclaims Scott. When it comes to dining at SOUMAH, you can expect to immerse yourself in the aromas and rich flavours of Northern Italy in the winery’s Trattoria-style dining room. With a focus on fresh food and relaxation, the chef’s offerings will leave you fulfilled yet still wanting more. “Our Chef has created some authentic favourites such as Bacalao, Beef Carparccio, Vegetarian Orechiette, Tagliatelle with Duck Ragu, Swordfish with Caponata, as well as Slow Cooked Lamb Shoulder and Herb Crumbed Pork Schnitzel. Also, don’t miss our Forno Bravo wood fired pizzas – from the classic Margherita to the spicy Pepperoni,” says Dmitri. Fully-catered events that are executed with maximum style and efficiency is just another day at SOUMAH. As Dmitri explains, their event packages include everything from wine tastings through to five-course meals. 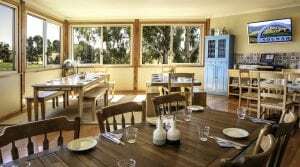 “At SOUMAH we cater for intimate groups of up to 25 people. We take care of everything for you from tastings through to a five-course lunch that’s fully- matched with SOUMAH wines. Our packages are ideal for celebrating life’s most important milestones with a group of friends, family or work colleagues. Our event packages are also ideal for your upcoming Christmas parties,” he says. If you want to soak up breathtaking views of the Yarra Valley, while tasting some of the best wine and food the region has to offer, talk to Australian Wine Tours about heading out on a tour today!